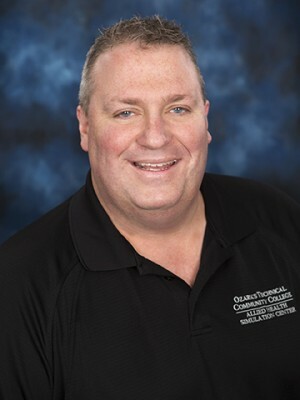 Mr. Verch received his Associates of Science degree in 1993 from Northeastern Oklahoma A&M and the National Registry of Emergency Medical Technicians (NREMT) license in 1995 from Cox Health Emergency Medical Services (EMS) in Springfield, MO. He has worked in EMS since 1995 and been in a management role with the Communications Department since 2003. Gary was hired to work in the Simulation Center in 2013 and in September of 2014 received his certification in Preventive Maintenance as a Field Service Technician with SimMan 3G, and SimBaby and SimNewbie in Novermber of 2015, through Laerdal Medical. Gary is a member of the Society of Simulation in Healthcare (SSH).